OKLAHOMA CITY (November 30, 2011) – State Rep. David Dank, chairman of the Task Force on State Tax Credits and Economic Incentives, today challenged task force members to rethink the role of government in tax policy. “Are we truly satisfied with the culture that has emerged here at the state Capitol in recent years that places so much emphasis on what state government is willing to give away?” Dank, R-Oklahoma City, said. 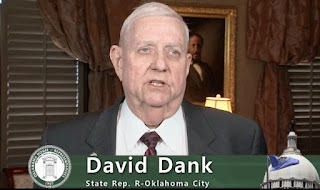 Dank said there is broad agreement that transferable tax credits must end and listed other proposed reforms, including an end to late-session bills containing tax credits, a requirement that tax credits be tied to job creation or retention, an annual audit of every tax credit, a sunset provision for every tax credit, and “full and complete” transparency. The task force will meet Dec. 21 to approve the final report, which must be submitted to legislative leaders and the governor by Dec. 31. The report will be used to craft legislation for the 2012 legislative session. told board members that work continues on the state’s student longitudinal data system. The state department is receiving feedback from various people around the state including those in school districts, workforce development and higher education on the type of data needed. “The underpinning of success in any endeavor is the accuracy of the data,” Barresi said. In other business, the board agreed to grant an exception to the Achieving Classroom Excellence graduation requirement for a student in Lawton Public Schools. The student is a child of a military family that has moved to a state where a U.S. history exam cannot be made available. The student has requested to return to graduate in Lawton. The board’s decision will allow that. Barresi told board members the state was one of 11 to submit a flexibility request with the federal government on Monday under the No Child Left Behind Act. The state should know if its request is granted by January, she said. “We looked at the overriding goal of achieving the individual growth of students and allowing teachers to teach to the individual student versus trying to reach an overall benchmark,” Barresi told board members. The state Board of Education voted to rescind previously adopted emergency rules required by Senate Bill 280, regarding online courses offered by school districts. Superintendent Barresi told the board the emergency rules were originally drafted to comply with state law that went into effect in July, giving school districts guidance. After passage of the rules, however, confusion developed around the requirements of the law itself. Barresi said rescinding the rules would allow for further clarification from lawmakers when the 2012 Legislative session starts in February. It also will allow for definitions of supplemental online courses and educational appropriateness as well as guidance and answers to questions regarding local board control, staffing decisions and funding. New rules will be drafted through the permanent rule making process, allowing SDE to collaborate with multiple stakeholders — including educational organizations, legislators, school district leaders and educators across the state. In the meantime, SDE will distribute a guidance package to school districts. A new private school serving special needs children opened recently providing a new option to children in the Oklahoma City area. The specialized school opened on the campus of Mercy Hospital in Northwest Oklahoma City in September. The Good Shepherd Catholic School at Mercy is a collaborative effort between the Archdiocese of Oklahoma City, the University of Central Oklahoma and Mercy Health. The school is designed for children, ages 3 to 9, with autism and “other similar neurological disorders.” The school started with six students and plans to expand to serve 20 students in the future. According to the story, the University of Central Oklahoma Behavioral Therapy program will provide teachers. Specialists will work with each child on a daily basis. Mercy CEO Di Smalley acknowledged that the Lindsey Nicole Henry Scholarships for Students with Disabilities Program Act was an important consideration in the creation of the new school. Dr. Donna Kearns will serve as principal for the school. For more information on enrollment, contact Kearns at (405) 752-2264. Several years ago, a state pilot program provided thousands to parents of children with autism to obtain treatment in the private sector. Most of the money was returned unspent because there were simply no therapists available. That led legislators, working with officials at the University of Central Oklahoma, to establish a training program for behavioral therapists. Students in that program soon needed venues for hands-on application, which led to efforts to create schools for children with autism. One such school, run by the Easter Seals of Oklahoma, soon folded because of the significant cost of operation. However, thanks to funding provided through the Lindsey Nicole Henry Scholarship Program, officials expect better results. “If the Legislature had not taken the initiative to create a program to train therapists, and if they had not passed the scholarship program, none of this could have happened,” Sweet-Darter said. 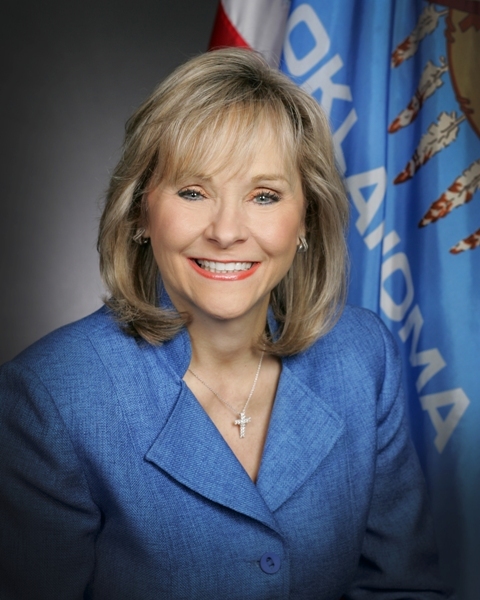 OKLAHOMA CITY – Oklahoma leaders reacted positively to news that the Supreme Court has agreed to hear the challenge by small businesses and 26 states to President Obama’s unconstitutional health care law during the current term. It has been reported that a decision could likely be issue by the court next June, in the middle of the presidential campaign where the national health care law will be a major issue. “President Obama’s health care law is unconstitutional and unaffordable. Not only will it limit choice and undermine the quality of American health care, it stands to cost the state of Oklahoma about half a billion dollars in the process. “Our citizens have already passed a constitutional amendment blocking its implementation in Oklahoma, and it’s clear that a majority of states are similarly opposed to the mandates, new taxes, and out-of-control spending proposed in the law. “Oklahomans know President Obama overreached when he forced his unconstitutional government healthcare takeover through Congress. That’s why our state voted overwhelmingly to keep Obamacare, and its individual mandate to buy government-sanctioned health insurance, from becoming law. “Obamacare represents a dangerous, unprecedented expansion of the federal government’s reach into our everyday lives. Worse yet, it will kill jobs and crush small businesses under the weight of unsustainable cost increases. "The Supreme Court did the right thing by agreeing to decide the constitutionality of the healthcare law this session. It should be noted the Supreme Court allowed an unprecedented 5 1/2 hours for oral argument, which speaks to the importance of the issues being decided. “We expect the Court to decide the case before the presidential election, so the American people have an answer on the constitutionality of this overreaching legislation when they choose their next leader. "Requiring every citizen to purchase a product from private companies encroaches on our individual liberty. We will continue to fight the continuous attempts by this administration to hide behind the guise of change to force unnecessary and overreaching federal regulations on American families and businesses." 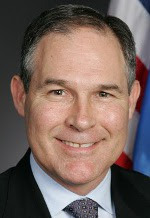 Oklahoma's lawsuit is pending in the Eastern District of Oklahoma. OKLAHOMA CAPITOL -- “If the United States enjoyed the same level of family stability today as it did in 1960, the nation would have 750,000 fewer children repeating grades; 1.2 million fewer school suspensions; approximately 500,000 fewer acts of teenage delinquency; about 600,000 fewer kids receiving therapy, and approximately 70,000 fewer suicide attempts each year.”* Those are the research findings of Dr. Paul Amato, professor at Pennsylvania State University. Amato is the next presenter in The Oklahoma Department of Human Services (OKDHS) lecture series. His presentation is titled “A Generation at Risk: The Impact of Divorce on Children,” and will be held Tuesday, Dec. 13, from Noon to 1 p.m. in the Chesapeake Room of the Oklahoma History Center. Amato’s research interests include marital quality, the causes and consequences of divorce, and subjective well-being over the life course. He has published more than 100 journal articles and book chapters, as well as four books, including co-authoring “A Generation at Risk: Growing Up in an Era of Family Upheaval,” (Harvard University Press, 1997). The National Council on Family Relations presented Amato with the Reuben Hill Award for the best published article on the family. He received the award three times, in 1993, 1999 and again in 2001. Amato also received the Stanley Cohen Distinguished Research Award from the American Association of Family and Conciliation Courts in 2002. Additionally he was awarded the Distinction in the Social Sciences Award from Pennsylvania State University in 2003, and the Distinguished Career Award from the Family Section of the American Sociological Association in 2006. The Lecture Series is sponsored by the Oklahoma Marriage Initiative and OKDHS Family Support Services Division. The Practice and Policy Lecture Series has been developed to provide thought-provoking presentations on Oklahoma's emerging policy issues, trends and best practices. The series is sponsored by the OKDHS Office of Planning, Research and Statistics and the University of Oklahoma Center for Public Management with the goal of providing the best educational opportunities available in a forum that offers participants an opportunity to question, share and learn from each other. All lectures are free and open to the public. For more information contact the Office of Planning, Research and Statistics at (405) 521-3552 or visit thePractice and Policy Lecture Series website (Link opens in new window). * “The Evolution of Divorce” by W. Bradford Wilcox, printed in the journal “National Affairs,” Fall 2009. On Nov. 10, the State Department of Education issued the following question and answer memorandum on the Lindsey Nicole Henry Scholarships. The memo was sent to superintendents and special education coordinators. The information provided addresses common questions not just from school districts but also from parents and private schools. Q: What is the LNH Scholarship for Students with Disabilities Program? A: The Lindsey Nicole Henry Scholarship for Students with Disabilities (70 O.S. 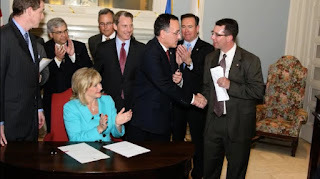 § 13-101.2) is a new law which became effective August 26, 2011, through HB 1744. This law amended the original scholarship created by HB 3393. The scholarship was created for qualifying students with disabilities for use at a private school that is accredited by the State Board of Education or another accrediting association approved by the State Board of Education. Students with disabilities include PK-12th grade students who are documented as having Autism Spectrum Disorder, Deaf-Blindness, Developmental Delays, Emotional Disturbance, Hearing Impairment, including Deafness. Also, Intellectual Disabilities, Multiple Disabilities, Orthopedic Impairments, Other Health Impairments, Specific Learning Disability, Speech or Language Impairment, Traumatic Brain Injury, and/or Visual Impairment, including Blindness. Q: Who is eligible for a LNH Scholarship? The student has spent the prior school year in attendance at an Oklahoma public school, unless the child’s parent or legal guardian is a member of the United States Armed Forces. Prior school year means that the student was enrolled and reported by a school district for funding purposes during the preceding year. private school that is eligible for the program. The parent completes the application process by December 1 of the year that they are seeking approval for the scholarship. Q: What is the first step in obtaining the LNH Scholarship? A: The parent or legal guardian must obtain acceptance for admission to an approved private school. Once acceptance for admission has been granted from the private school, the parent or legal guardian must complete the application process and send required documentation to the OSDE for consideration by December 1 of the year that the scholarship will take effect. If approved, the OSDE will notify the private school and the parent of the calculation amount for the scholarship within ten (10) days of receipt of the completed application. The private school and the parent will also receive written notification within ten (10) days if the application is denied. Payment of the scholarship will not begin until the next school year if received after December 1. Q: Are private schools required to participate in the LNH Scholarship program? A: No. Private schools are not required to participate in the LNH Scholarship Program; however, participation is open to all private schools that wish to take part in the program, as long as the school meets the eligibility criteria set forth by the Act. Private schools meeting the requirements of the Act may submit an application to the Oklahoma State Board of Education for consideration. If approved, the Oklahoma State Department of Education (OSDE) will notify the private school in writing that they are approved to receive tuition payments for students who qualify for the LNH Scholarship award. Each private school will provide the OSDE with an annual, notarized, sworn compliance statement certifying compliance with state laws. Q: Where can I find a list of approved private schools that are participating in the LNH Scholarship program? A: Current approved private schools are listed on the LNH Web page of the OSDE Web site located at , or you can call the OSDE at (405) 521-4865 for an updated list. Q: What is the timeline for receiving information about the LNH Scholarship award amount? A: The parent or legal guardian of an eligible student must request a scholarship by notifying the OSDE through the approved application process. Within ten (10) business days of receipt of the parental request, the OSDE must determine the calculation of the maximum amount of the scholarship and report it to the private school in writing within ten (10) business days of the receipt of the request. The parent will also be notified of the maximum amount of the scholarship at that time. The 16y submitting a renewal application and required information to the OSDE by December 1 of the year that the scholarship is requested. The application may be obtained on the LNH Scholarship Web page found on the OSDE Web site at or by calling the OSDE at (405) 521-4865. Q: May LNH Scholarship students who are enrolled in a participating private school attend a public school while they wait for the private school's first day of school? A: No. When students enroll in the scholarship program for the first time, they must wait for classes to begin at the private school for the new school year. Scholarship participants may lose their eligibility if they attend a public school while waiting for their private school to begin classes. Local education agencies (LEA) are responsible for reporting those students attending the public school as "returned to public school" students. Q: If the parent or legal guardian requests a LNH Scholarship and the student is accepted by the private school pending the availability of a space for the student, what should the parent do to ensure that they are eligible for the scholarship when a space becomes available? A: The parent or legal guardian must notify the OSDE before entering the private school and before December 1 in order to be eligible for the scholarship during the school year when a space becomes available for the student in the private school. Q: May LNH Scholarship students attend a participating private school and receive special education services from a public school district? A: No, LNH Scholarship students may not receive special education services from a public school district except under special circumstances involving a service plan. Scholarship students must formally withdraw from public school after acceptance of the scholarship. If a child is enrolled in both private and public school, the child will be considered to have “returned to public school” and may lose eligibility for the scholarship. Q: Will a LNH Scholarship student continue to be on an IEP that includes special education and/or related services provided by the public school district? Is not required to amend your child’s education records to remove any references to your child’s receipt of special education and related services. If you elect to re-enroll your child in the public school system, terminating eligibility for the LNH Scholarship, you or the school district may initiate a request for an initial evaluation to determine if your child is a child with a disability. Q: What happens if the LNH Scholarship student has an address change, transfers to a different school, or has other changes that could affect the child’s educational program? A: The parent must notify the OSDE of any change that could affect the child’s educational program within ten (10) days or this may jeopardize the child’s scholarship eligibility. Q: Can the parent withdraw the LNH Scholarship student from an approved private school and re-enroll the child in another approved private school? A: At any time the parent or legal guardian of the student may withdraw the student from an approved private school and place the student in another private school that is eligible to receive LNH Scholarship students. The OSDE must be notified within ten (10) days after this change. Q: Can the parent withdraw a LNH Scholarship student from private school and re-enroll the child in public school? A: Yes. The scholarship student may re-enroll in the public school district at any time; however, the scholarship will be forfeited immediately. The parent may request for the child to receive special education services in the public school, and the request will be processed as an initial evaluation. The student will be treated as any student in the child-find process. Q: Who is responsible to provide transportation to the private school for students receiving the LNH Scholarship? A: If the parent chooses to place the child in a private school and the child has been awarded the LNH Scholarship, the parent is responsible for the student's transportation. Q: How long does a LNH Scholarship last? Reaches the age of 22, whichever occurs first. Q: Can a Lindsey Nicole Henry Scholarship be forfeited? A: Yes. There are several ways that a Lindsey Nicole Henry scholarship may be forfeited. Enrolls or re-enrolls the student in a public school. Fails to fully comply with the parental involvement requirements of the private school. Refuses to restrictively endorse the scholarship payment to the appropriate school for deposit into the account of the participating school. Fails to adhere to the discipline policies of the private school. Q: If a student applying for the scholarship is dismissed from receiving special education services after the parent or legal guardian files a request for the scholarship and before the student enters the private school, is the student eligible for the LNH Scholarship? A: No. If a student is dismissed from receiving special education services while enrolled in a public school, the student is not eligible for the scholarship. The child must be on a current IEP to meet the requirements of the scholarship. Q: What is the award amount for a LNH Scholarship? A: The maximum scholarship amount granted for an eligible student with disabilities will be a calculated amount equivalent to the total State Aid factors for the applicable school year multiplied by the grade and disability weights generated by that student for the applicable school year. The maximum scholarship amount will be calculated by the State Board of Education for each year the student is participating in the scholarship program. The amount of the scholarship shall be the preceding amount, less 2 1⁄2 percent for administrative fees, or the amount of tuition and fees for the private school, whichever is less. Q: How is a LNH Scholarship payment made? The private school will provide the OSDE with an annual affidavit of compliance that is provided by the OSDE, an annual statement of tuition and fees for each scholarship student upon their enrollment, an invoice for each child at the end of each quarter, and a detailed quarterly attendance report for the current school year. The initial payment will be made after the school district verifies admission acceptance and enrollment. Payment will be made by the school district with an individual warrant made payable to the parent or legal guardian of the student and mailed to the approved private school where the child has attended. The parent or legal guardian will complete a Vendor/Payee form provided by the OSDE and return it to the OSDE to be placed on file. Upon issuance of the scholarship warrant, the parent or legal guardian to whom the warrant is made will restrictively endorse the warrant to the private school for deposit into the account of the private school. No entity or individual associated with the private school as the attorney in fact for the parent or legal guardian can endorse a warrant. The payment will be made after the private school provides the public school with a quarterly attendance record for each child receiving the scholarship. The OSDE will cross-check the list of participating scholarship students with the public school enrollments prior to each scholarship payment. Q: What are the responsibilities of the public school district where the LNH Scholarship student lives? Exit all children from the district special education child count that are known to be parentally placed in a private school and receiving the LNH Scholarship after notification by the parent of acceptance of the scholarship by written confirmation or default. Q: Who is responsible for special education services or extra costs that are incurred by the private school for the LNH Scholarship student? A: Upon acceptance of the LNH Scholarship, the parent or legal guardian shall assume full financial responsibility for the education of the student. The OSDE or the public school district will not be responsible for any additional costs associated with special education and related services incurred by the private school for the student including the cost of teachers, equipment, material, and special costs associated with a special education class. If you have additional questions regarding the LNH Scholarship for Students with Disabilities, please contact Ms. Anita Eccard at (405) 521-4865. OKLAHOMA CITY (November 10, 2011) – Pension reforms implemented earlier this year have reduced the state’s pension debt by $5.5 billion. This is the largest single-year debt reduction in Oklahoma history, lawmakers were informed today. Thanks to recently enacted reforms, the unfunded liability of all the state pension plans has fallen from over $16 billion to $10.6 billion, officials announced. “The reforms are making a meaningful difference. 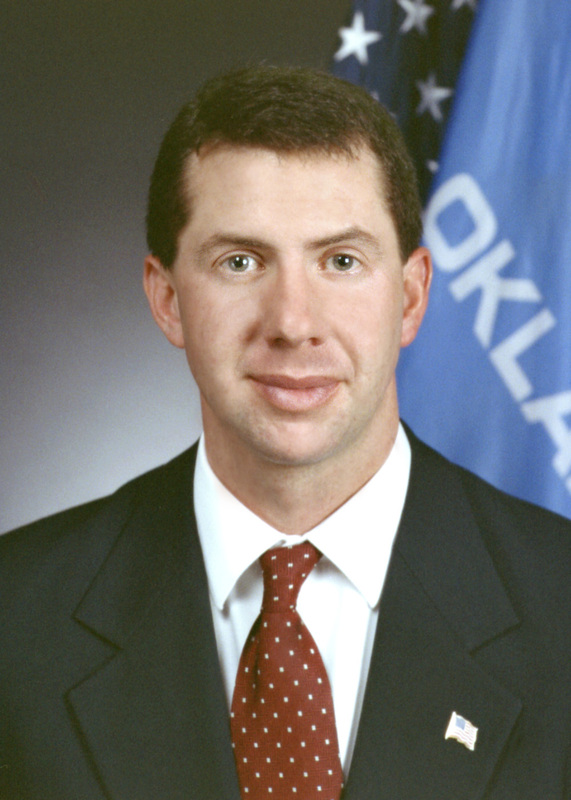 At a time when nations in Europe as well as other states in our country struggle to even address their structural debt problems, Oklahoma’s financial condition is already exhibiting remarkable improvement,” said state Rep. Randy McDaniel, an Oklahoma City Republican who chairs the House Pension Oversight Committee. In addition to reducing debt, the state pension plans are experiencing growth in asset levels. The state’s major pension plans now have $21.5 billion in assets, an increase of over $3.5 billion in the past year due to healthy investment returns. The combination of a reduced unfunded liability and asset growth has improved the integrated ratio of Oklahoma state pensions from 56 percent to 67 percent, McDaniel noted. The reforms enacted this year included House Bill 2132, which requires a funding source before cost-of-living adjustments (COLAs) can be granted, and several acts that increased the retirement age for future employees. 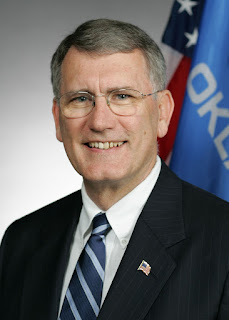 OKLAHOMA CITY – House Speaker Kris Steele on Wednesday named Rep. Richard Morrissette as vice-chairman of the House Appropriations Subcommittee on Human Services. Morrissette, D-Oklahoma City, will fill the Appropriations Subcommittee on Human Services vice-chairman position formerly held by Rep. Jason Nelson, R-Oklahoma City, who was asked to serve as chairman of the committee last week. The committee is responsible for budgeting for the Department of Human Services. OKLAHOMA CITY – Judy Copeland, who served as general counsel in the office of Governor Mary Fallin, passed away early Sunday (11/6) morning after suffering a stroke on Thursday (11/3). Judy was 42. 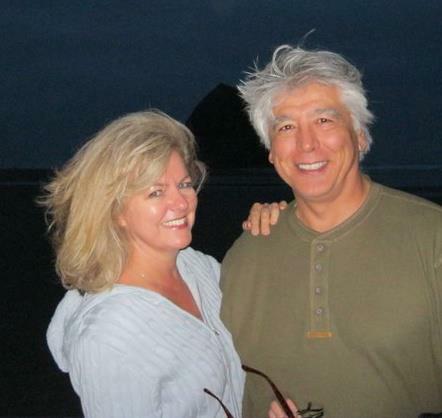 She is survived by her loving husband, Dr. Terry Copeland. Services will be held this Friday, Nov. 11 at 11 AM at Edmond First Baptist Church. Judy was a special friend to those of us who had the privilege to work with her in Gov. Keating's office. Everybody that knew Judy loved her and admired her as a professional. She will be missed by me and her many friends. Please remember Judy's family and especially her husband Terry in your prayers. Previously, Judy had worked as assistant district attorney in Oklahoma County, assistant attorney general under Drew Edmondson and Susan Loving, deputy general counsel and general counsel for Governor Frank Keating, and assistant United States attorney in the U.S. Attorney’s Office. Judy attended Northeastern State University as an undergraduate prior to graduating from the University of Oklahoma College of Law. She was born in Stroud, Oklahoma. “Judy was a strong, professional woman and a friend to all who worked with her. She was a superb general counsel as well as a joy to be around. Her passing is a tremendous loss to the state of Oklahoma, and she will be sorely missed by a great many people. OKLAHOMA CAPITOL -- The Oklahoma Department of Human Services (OKDHS) commemorates November as “National Adoption Awareness Month,” participating in a special celebration Thursday, Nov. 17 at the Moore-Norman Technology Center, 13301 S. Pennsylvania in Oklahoma City, beginning at 2 p.m.
Last year OKDHS SWIFT Adoption Services authorized 1,382 children for adoption placement. More than 57 percent of those children were siblings who found an adoptive home with their brothers and sisters. According to Goodman, hundreds more children are still waiting for a permanent home. The public is invited to attend the adoption celebration on Nov. 17. OKDHS SWIFT Adoption representatives will be on hand to answer questions and provide details on adoption, and services available to help prospective adoptive parents. For additional information on OKDHS SWIFT Adoptions and Adoption Awareness Month, phone Deborah Goodman at (918) 794-7544. 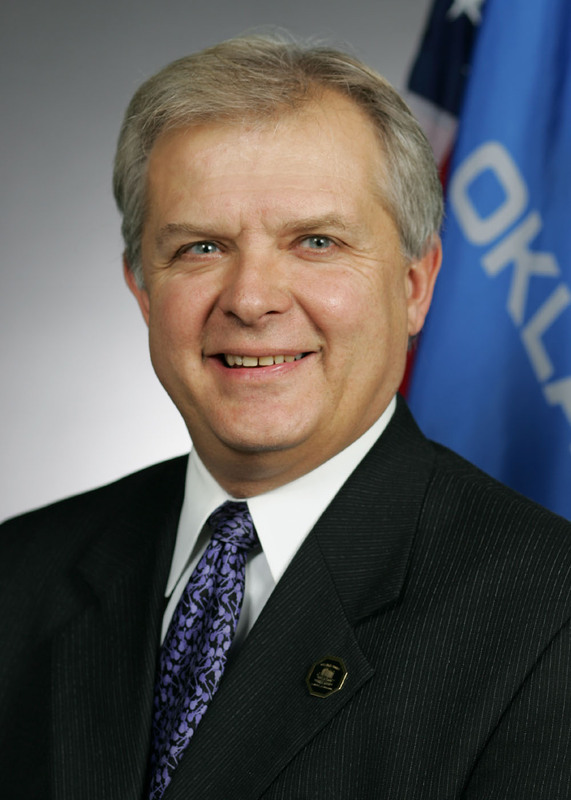 OKLAHOMA CITY – House Speaker Kris Steele on Tuesday formed a standing House Ethics Committee that will develop ethics standards for House members and evaluate questions of ethics in legislative business. Formation of the House Ethics Committee was recommended in September by the House Special Investigative Committee. Upon the conclusion of its work, the House Special Investigative Committee stated in its final report that creating a permanent House Ethics Committee would “instill confidence that the House of Representatives will deal with ethics complaints in an expeditious, fair and consistent manner,” as is done in many other state legislative chambers. Both chambers of Congress and 39 states have some form of a legislative ethics committee that deals with questions of ethics and oversees conduct of members in a particular legislative chamber. These committees differ from entities such as the Oklahoma Ethics Commission, which is comprised of appointed commissioners and professional staff who formulate and oversee compliance of ethics rules for campaigns, lobbying and elected officials. Like its counterparts in other states, the House Ethics Committee will be comprised of House members and will focus solely on ethical issues pertaining to legislative business conducted in the House. Steele named Rep. Gary Banz, R-Midwest City, as chairman of the House Ethics Committee. Banz also served on the House Special Investigative Committee. Rep. Jabar Shumate, D-Tulsa, was named vice-chairman of the House Ethics Committee. Also supporting the formation of the House Ethics Committee are Reps. Fred Jordan and Ben Sherrer, the chairman and vice-chairman, respectively, of the House Special Investigative Committee. “The investigative committee found during its work that the House has a need for a higher level of procedural certainty when evaluating ethical questions pertaining to its members. We recommended a standing ethics committee as a way to do that and I am pleased our speaker has followed that recommendation,” said Jordan, R-Jenks. “I applaud Speaker Steele for following through on the recommendation to form this committee. It’s the right thing to do – plain and simple. I’m pleased it will be bipartisan and expect its existence will be a very positive addition to the public service we perform in the House of Representatives,” said Sherrer, D-Chouteau.